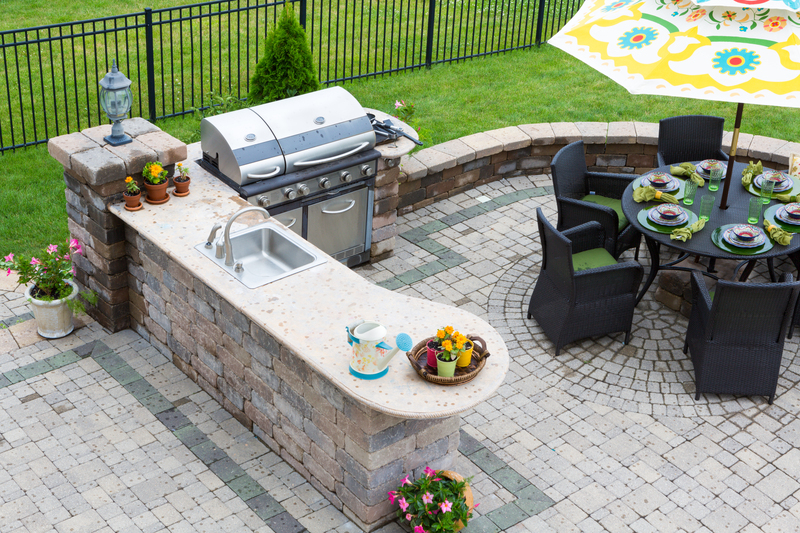 Discover how you can maintain your outdoor kitchen! You’ve decided to maximize your enjoyment of your outdoor space and install an outdoor kitchen—the perfect way to entertain family and friends and enjoy the great outdoors. However, how can you maintain your outdoor kitchen to ensure it serves you and your family for years to come? Here are four easy steps to maintain your Maryland outdoor kitchen. Unfortunately, the grill that is part of your outdoor kitchen is still going to need the same amount of cleaning that your old grill did! Clean away any grease and gunk from the surface of your grill and regularly check the hoses and fuel lines attached to your grill. Even though the grill in your outdoor kitchen isn’t exposed to the elements, in the same way, it will experience the temperature changes throughout the year. I know we just told you to clean your grill, but don’t clean your outdoor appliances too much. Stainless steel appliances are naturally rust-resistant, so you don’t need to worry about cleaning it too often. Never cut directly on the surface or leave metals directly on the surface when they aren’t being used. You can clean your stainless steel appliances regularly, but never use steel wool or harsh chemical cleaners to do so. Do you have an outdoor kitchen with a fireplace? Take the time to keep it in good condition, just like you do with the fireplace inside of your home. Take ashes out of your Maryland outdoor kitchen’s fireplace and cover the chimney so that animals and debris can’t enter. Last but not least, protect the investment that you made by using furniture covers and weatherproof materials. Not all elements of your outdoor kitchen can simply come inside when it’s going to rain, so covers are critical to preserving them for many more Maryland springs and summers. This entry was posted on Friday, June 9th, 2017 at 3:41 pm. Both comments and pings are currently closed.